The White Sands International Film Festival begins on September 4, 2013. With a full schedule “packed with some of the most engaging, amazing and intriguing features, short films and documentaries anywhere” here is the first of several like posts full of reviews to help attendees plan the most advantageous viewing schedule. For full playlist schedule and trailers for the film submissions, click HERE. At just over six minutes and completely void of any spoken dialogue, A House, A Home contains so much in its message. This gorgeous short says so much as it silently tells a beautiful and engrossing story accompanied in its entirety by an appropriately peaceful song full of as much wonder as the characters of the story themselves. This time period piece impressively contains touches of amazing relics, memories, fashion, style and art from another time not so different from our own as the young man and woman expand their love from objects and memories of their past to each other and find joy in the sharing of the beauty of those passions with each other. A house contains many rooms, but it is the people, memories, emotions, dreams and experiences with its inhabitants that make it a home. A House, A Home sparks multiple questions in the mind of the viewer and its ending powerfully answers the important ones without ever having one single word audibly spoken. 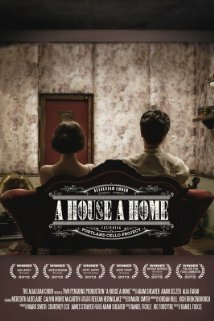 A House, A Home is scheduled to play in the Narrative Short segment of the WSIFF at 5pm on Thursday, September 5th. The cast carries this story with a taste of reality and makes the entire viewing experience relatable. From the leads all the way to the supporting cast, each character adds a particular bit of flavor to this fun short seasoned with adult humor, situations and language. A one night stand with a bombshell of a babe takes a turn for the strange when Charlie wakes up in a bizarre twist straight from the likes of The Twilight Zone. Waking up next to someone completely different from who he went to sleep with, Best of Both Worlds takes a fun look Charlie’s challenge as he must question what is “normal” in the universal search for “the one.” The situational comedy adds to the drama as the story pushes the limits of his acceptance and personal feelings and carries the viewer along for the ride questioning the same “What ifs” in their own mind. Best of Both Worlds is scheduled to play in the Narrative Short segment of the WSIFF at 5pm on Thursday, September 5th. Solo performance films can be powerful but they are also risky. The ability for a film to keep the attention of its viewers is challenged when only one actor appears on-screen for the majority of the film’s runtime. Bahя takes the challenge and is such a film that serves as both a thriller and a history lesson. Based in the time of the Cold War, the tensions between the Russians and the Americans have never been higher and all of that is shown through the protagonist in an outpost of solitude that causes him to soon question his comrades, his purpose and his sanity. A strange, and perhaps supernatural, threat plagues the isolated soldier while awaiting the detonation of the Soviet Union’s largest thermonuclear device. 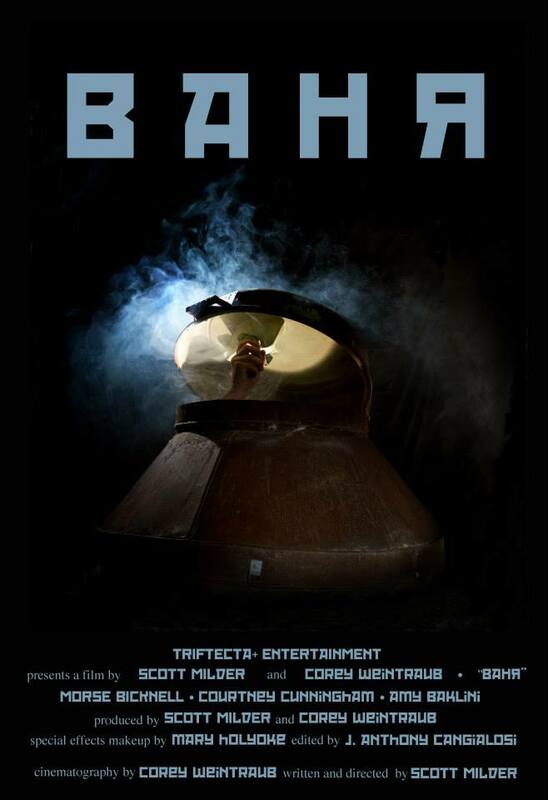 While containing a few moments of excitement, entertainment and intrigue, Bahя remains rather uneventful and thus the story itself is lost in the style of its telling. The look and feel of the film adds to its sense of authenticity in terms of the time period in which the events take place, however, this thriller of a history lesson thrills less than hoped for. Bahя (Vanya) is scheduled to play in the Narrative Short segment of the WSIFF at 5pm on Thursday, September 5th. Narrated by Mark Hamill, this documentary created by Conor Timmis (director of Kreating Karloff) is the best documentary tribute of the Korean War (a.k.a. “the Forgotten War”) that I have ever seen personally. Inspired by the service of his late grandfather Sgt. John Finnigan who gave his life in the Korean conflict, director Conor Timmis’ personal passion project Finnigan’s War is an appropriate and touching commemoration marking the now passed 60th anniversary of the Korean War. May the “forgotten heroes of a forgotten war” be emblazoned upon our hearts and memories evermore. In a fitting docu-style presentation, Finnigan’s War is compilation of memories and stories of those who served during the war as opposed to staying focused on any one particular battle. As a whole it centers its attention on the battles of the men in the entire campaign and honoring those who served to protect the liberties deemed worthy to be universal for all mankind regardless of race, color or creed. Playing out much like a documentary special expected to be seen on the History Channel, Finnigan’s War also utilizes different storytelling modes to share the amazing true stories of American warriors. An impressive array of intermittent drawn motion comics and black & white instructional video clips share the experiences of these brave men performing extraordinary feats in a time that truly tried the souls of men. Timmis creativity and respectful blend of old and new brings the Korean War to audiences in a way never before seen. Filled with multiple touching and true stories that includes a multi-cultural look at the Korean War showing to audiences that the war efforts impacted everyone, Timmis invites us to a campfire of sorts in which stories from people of all walks of life are shared through the commonality of their experiences. From the mouths of veterans themselves the accounts range from the only black ranger unit to make a combat jump during the Korean conflict to an effective Puerto Rican unit and those that keep their memory alive, to the astounding bravery of a Native American soldier who gave his life so that others could live and more. A gripping segment of “Most Vivid Memories” is definitely a portion of this documentary that should not be missed. Through the first-hand accounts of those that were there or through the memories of family members that remain, Finnigan’s War provides a lens to look back and remember and honor those to whom a world is and should be grateful to. The opportunities for oral histories of this type to be made, let alone to even be viewed, are diminishing and Finnigan’s War is a pertinent education and inspiration that spotlights the caliber of men who courageously fought for freedom. The amazing stories of human strength, spirit and triumph told by and about these brave veterans is the stuff that movie writers wish they could make up. Through this documentary that, at times, can be disturbing, Timmis respectfully preserves and honors the memory of the valiant efforts of those who fought the Korean War and teaches us the importance of not only knowing our history but also thanking those that have sacrificed to keep freedom truly free. May we never forget. Every year on Veteran’s Day I make it a point, out of respect, to thank our Veterans and then usually watch Saving Private Ryan. 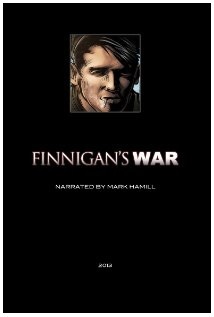 Finnigan’s War will now be added to my watchlist on every Veteran’s Day. Thank you Conor Timmis for making this documentary. Finnigan’s War is scheduled to play in the WSIFF at 1230pm on Thursday, September 5th. This short finds a bride-to-be on the receiving end of a seductive proposition of her fiancé’s unrelenting best man. 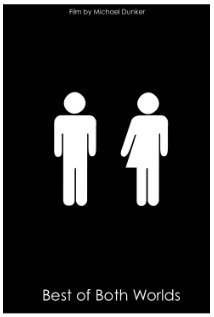 Shocked that her betrothed’s best man -who is married to her best friend- is coming on to her, she consistently refuses his undeterred advances all the while the possibilities and punishments roll through her mind. Her will is tested as breaks in confidence, assurance, opportunity, trust, friendship and relationships are all on the line (hence, perhaps, the title). Unfortunately, also broken in the film is the dialogue as the conversations and debates seem a bit forced and unnatural and the editing suffers at moments when the audio falls out of sync with the video. That aside, the underlying bits of deception, doubt and diamond rings make the delectable dinner conversation interesting as true motives and methods slowly grow clearer. The main cast of four do a decent job of making the awkwardness come to life leading to the possibly detectable ending. Will she give in to the advances? Will lust conquer over love? Which will break first? These questions and more arise in this plausible dinner situation among four best friends. The punch-in-the-gut ending ironically satisfies and disappoints simultaneously. Break is an interesting story with characters even more so that makes you wonder just how far one is willing to go to test their love and loyalty for another. Break is scheduled to play in the Narrative Short segment of the WSIFF at 12noon on Friday, September 6th. A teenage boy with the seemingly perfect life in American suburbia concocts a plan to launch a full assault on his high school in order to deal with his inner rage and feelings of isolation and angst. His plans are interrupted by a mailman unawares with a past and a present full of problems who just won’t go away. Writer/Director Adam Rubin tells his story through the mind of the would-be killer and gives a frightfully scary insight into the possible reality of such situations. The deeper message of the film comes through the unexpected mailman who not only carries correspondence back and forth, but also carries with him a message of hope, wisdom and truth. The “right place at the right time” messenger seems to be the only thing between a school full of children and a teenager with a gun and a plan. While not groundbreaking, A Perfect Day is gripping as Rubin’s tale interweaves personal problems with the plot and creates a plausible world for the story to dwell in. Others have told similar stories such as this in short films and full-length features (We Need To Talk About Kevin), but the uniqueness and strength of this tale lies in the unexpected visiting mailman who may be the only one who can stop the Columbine-geared teenager. Rubin delicately and respectfully handles this subject in a manner that impresses. A Perfect Day is not perfect, nor is it tremendously powerful, but it is pertinent in today’s society and gives a social message of the power and impact of just one person. 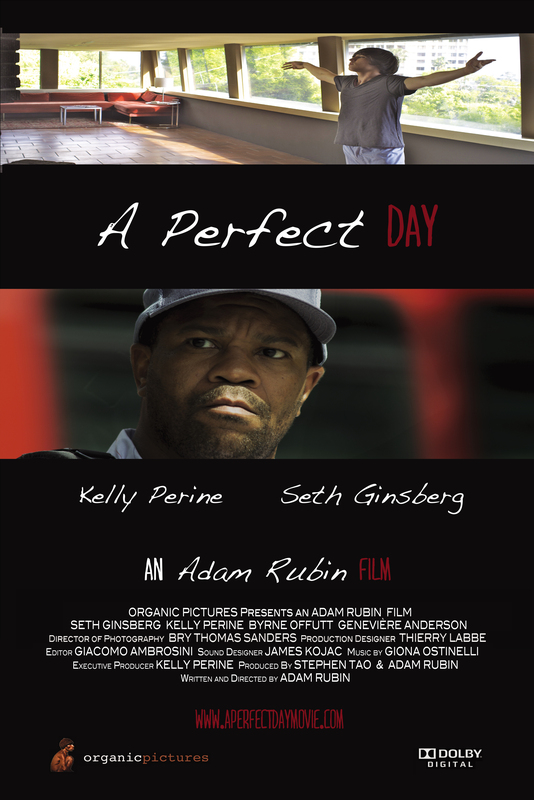 A Perfect Day is schedule to play in the Narrative Short segment of the WSIFF at 5pm on Saturday, September 7th. Previous Movie News Monday for August 5, 2013. Next “It’s Time to Vote Tuesday” 160! Strong work. Lots of interesting stuff. Thanks my friend. I really appreciate that and the support. Looking forward to the festival. More to come. Wow! Some very interesting pictures. A couple really stand out. Great piece Terrence. Thanks Keith. Quite a bit to go through and some very interesting pictures indeed. More to come. Thank you especially for reading and supporting these WSIFF posts. No thank you! Keep them coming. How’d you get to see these if the festival hasn’t started yet? LOL. Anyways, you make Flanigan’s War sound really good. I couldn’t take my eyes off of the screen during Finnigan’s War. Thanks for the comment and support (especially for these WSIFF posts). I hope you get to check out Finnigan’s War at some point.